Room Owners: Enhance Your Room's Profile Today! Want to make your room more interesting, or attract new people? In the meantime, you can start customizing your room’s profile now, so that when we launch your room will be ready! 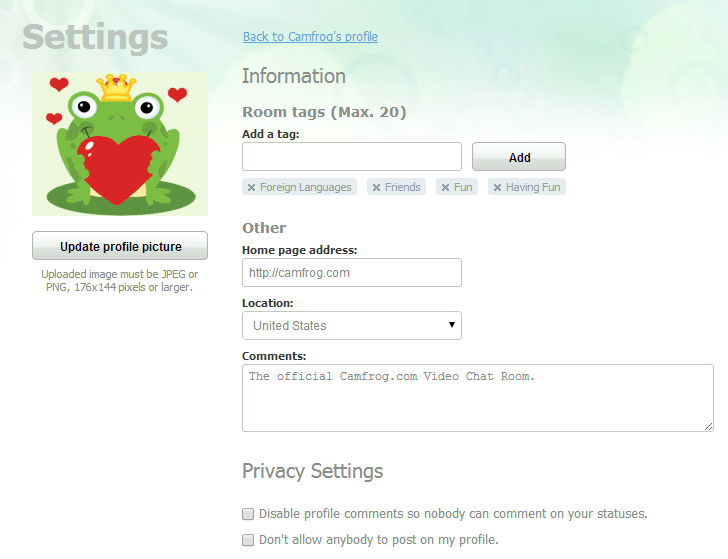 Here’s how you customize your room profile: Head on over to www.camfrog.com and login with your room name/password. then click the “Settings” link. You can then upload a profile pic (At least 176x144px .jpg or .png) Choose your room’s location, and add some category tags. These tags will let users know what your room is about, and will be searchable in the new rooms browser! We’re really excited to make it even easier for everyone to find your room, and hope you’re excited too! Send stickers in Instant Messages! Be sure to get your room ready! Genre room searchable by category tags will be helpful. Having decent information about rooms is a good thing. Since you are working on a new version, can you make a function to Automatically IGNORE room bots? Rooms with 2 or more bots just look like SPAM and interferes with communications. This is just a thought. I can’t wait to see what else you guys have planned for the new bot, server and user clients, and hopefully you’ll get around to at least including some form of emoticons/stickers and program links (camfrog:add/join/im @username etc…in the mobile apps. More options for moderator mode please! Promoting good behavior and interaction. When are you going to release the new version of camfrog? The last update was almost half year ago. Are you going to add stickers in IM? 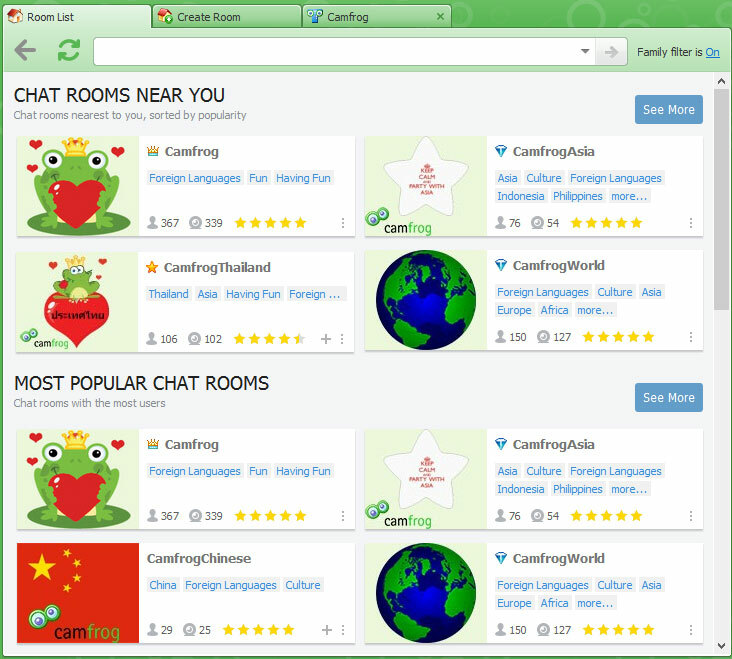 It’s very nice update and congratulation camfrog. have a solution for room name use chart can invited? I was trying to add profile pic to my room profile but I had no luck. I was trying different sizes and different format (jpg and png). I can see the uploaded pic on the settings page but there is no pic on the profile page after saving.